6sense, the leading ABM Orchestration Platform for B2B marketing and sales, announced new features to enhance its existing sales experience. The Sales Intelligence enhancements change the way revenue generating teams create and drive pipeline with easy-to-consume insights designed to drive sales action in coordination with marketing. 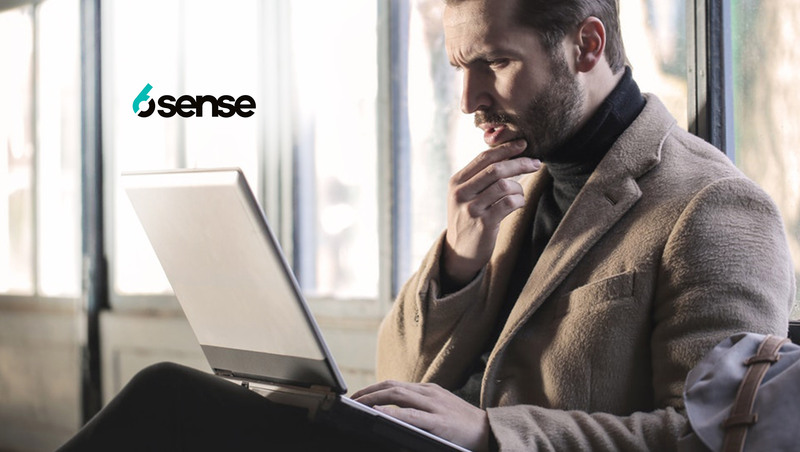 Currently, 6sense is the leading B2B predictive intelligence engine for marketing and sales. 6sense’s mission is to empower marketing and sales teams with 100 percent visibility into buyers; who they are, needs and timing. 6sense provides marketers with omnichannel connectivity and visibility from brand to demand to revenue. “This update was designed as a response to sales teams’ requests to be empowered with insight to prioritize their time better, make their outreach more relevant, and shed light on what their prospects really care about at any given time,” said Amar Doshi, 6sense VP of Product. 6sense predictions power all downstream sales and marketing systems with intelligence on who is in the market to buy, what products, when they will buy and where they are in the buyer’s journey. 6sense enables intelligent growth resulting in a new pipeline, higher marketing to sales conversions, larger opportunity size and increased sales productivity and effectiveness with teams focusing on the right “in-market” buyers with a need now.